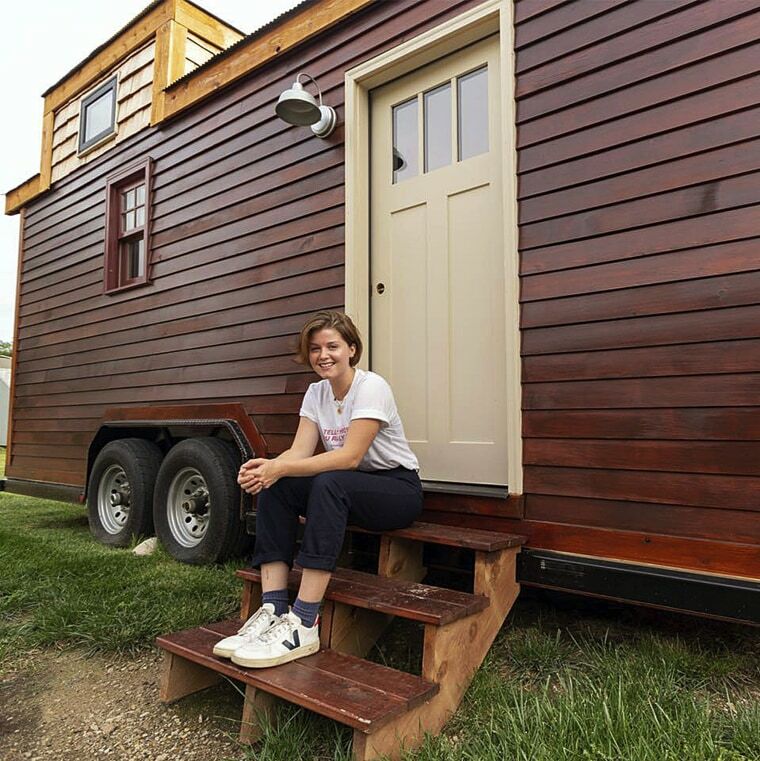 Meghan Panu had said her tiny house on wheels was stolen over the weekend. It was found Wednesday morning. A tiny house reported stolen by a Missouri woman will be returned after the Jefferson County Sheriff’s Office tracked down the missing residence Wednesday morning. Sheriff Dave Marshak said in a tweet that Meghan Panu’s home, which was built on wheels, was found parked on a dirt road in a wooded area in House Springs, Missouri, about 30 miles away from where it had been nabbed in St. Louis. Panu, of St. Louis, said in an Instagram post that she thinks the house was stolen between Friday night and Saturday morning. She told NBC-affiliate KSDK that the owner of a building supply store in the area had let her park the house there until she could move it to a lot she had picked out. But she said that over the weekend she received a call from the store’s owner that the house was gone. So far, authorities have not identified who took the house, the sheriff told NBC News. In a second tweet, Marshak shared some more good news for Panu saying a towing company would bring her house back to her free of charge. Panu reacted to the news of her house being found, by posting on her Facebook page: “TINY HOUSE FOUND” with a lightning bolt emoji. So glad this was a relatively brief nightmare. I agree, when something does not belong to you then keep your hands off of it. A simple Commandment, not to steal, yet many do so often anyway.